Hira Ratan Manek in the following article. 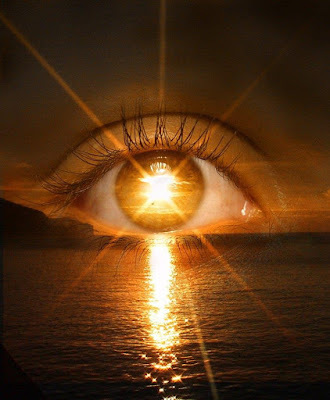 Do you want to practice sungazing? Do at your own risk as mentioned in the disclaimer at the bottom of the page. Hindus offer water to the Sun early in the morning as religious practice. Method taken from Hira Ratan Manek. Gaze sun in the morning or evening. One time is enough. Gaze within hour of sun rise or hour before sun set. Early morning sun is better. Slow start is a good start. Start with few second and after that increase time 10 seconds each day. After reaching 44 minutes you don't need to stare. As it is written there. Everything need to maintain why should be stop doing so! Only expert sungazer can explain it. It is suggested to gaze bare foot. Foot touching earth directly. No grass, granite etc. But if it is not possible then you can state as you have access to. Concentrate while doing so as you do meditation. Feel the difference as sun ray enter your eyes. Take care of timing. Rise early to practice it so sun gazing can be possible. Here the Sungazing read got interesting when he quoted NASA many times.